It’s worth scrutinizing these conclusions. The smartphone era is scarcely a decade old, dating from Apple’s introduction of the iPhone in 2007. That is a nanosecond in human evolution. 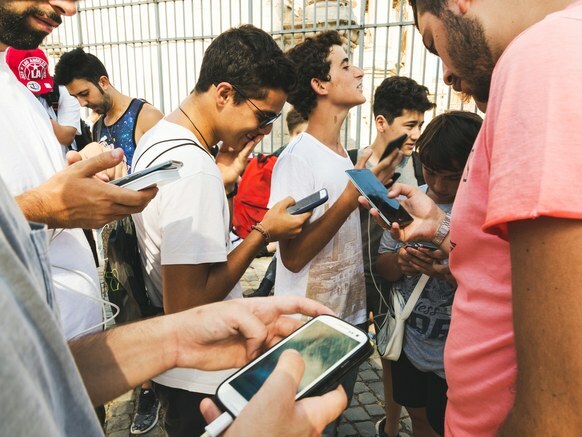 No matter what we think we know now, we simply don’t know what the long-term effects of smartphones are or will be, any more than generations past could glean the effects of all of those earlier technologies on moods, relationships, and cognitive development. Statistics here have a way of conveying certainty, such as, “teens who spend five or more hours a day (versus less than one) on electronic devices are 51 percent more likely to get less than seven hours of sleep.” Or, “about 16 percent of the nation’s high-school students were bullied online in 2015,” according to the U.S. Centers for Disease Control and Prevention. Children who are cyberbullied are three times more likely to contemplate suicide, according to a study in JAMA Pediatrics in 2014. With such facts and figures, who could argue that there’s something to worry about. Throw in the increased unease within big technology companies such as Facebook about the corrosive effects of rumor and fake news in its feeds, and among executives such as former Facebook VP Chamath Palihapitiya that they’ve unleashed a potentially destructive force, and the argument would seem airtight.